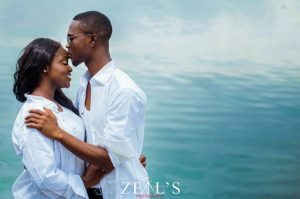 Lovebirds Praise and Douglas are getting married in a few weeks time in Enugu. 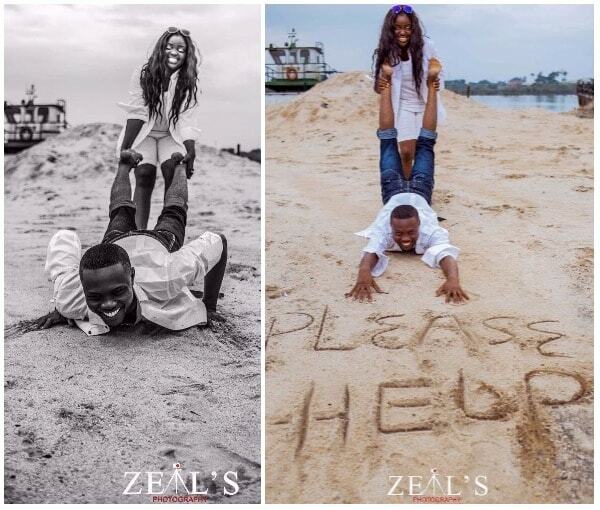 Check out one of the poses they chose to use in their pre-wedding pictures. 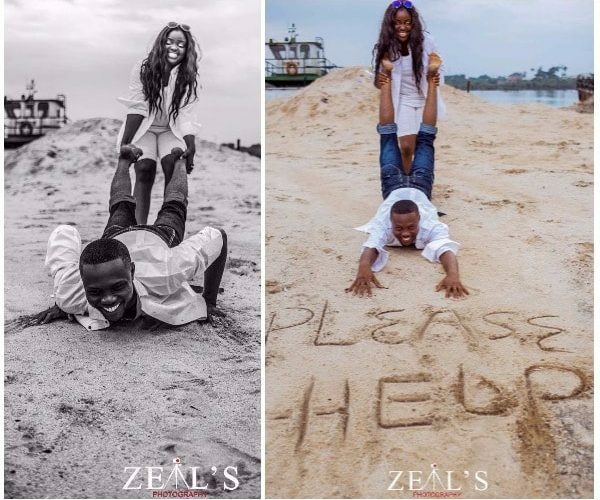 An over-excited Praise got to drag her man through the beach sands and the pictures have got people talking. You like?